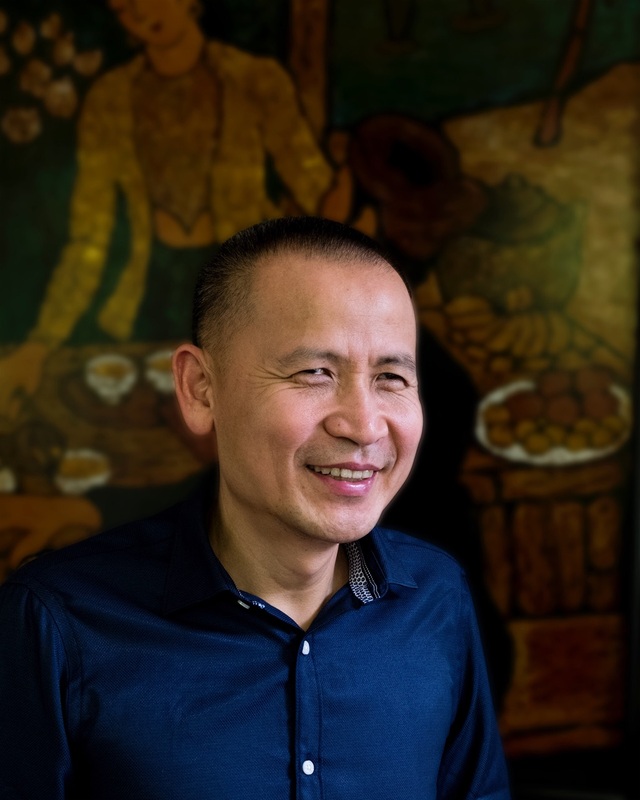 Travel with John Tue Nguyen, Founder of Trails of Indochina, on a special program through Thailand and Myanmar with special experiences like a donation at Monastic Education School, private lecture with a local historian, and exclusive cruise with the owner of Heritage Line, John as your host. I am honoured to have the opportunity to accompany and travel with our guests on this special occasion, experiencing and interacting with some special local experts, dining in local hidden venues, immersing ourselves in local villages and connecting ourselves with them in their local daily lives. Surrounded by mountains, pristine rainforests and peaceful countryside, Chiang Mai (‘Rose of the North’) is the hub of northern Thailand and former seat of ancient Lanna Kingdom. Make an early morning stop at a local market, continuing on to Wat Suan Dok, the final resting place for former Chiang Mai Kings. Here, we receive a special Buddhist monk’s blessing. Driving past spectacular soaring mountains and forests, head to 1,676m (5498ft)-high Doi Suthep Mountain, located on Chiang Mai’s western fringes, for Wat Phra That. This temple is one of Northern Thailand’s most sacred and a revered pilgrimage destination. Dominating the mountainside and a stunning example of northern Thai architecture, Wat Phra That was founded in 1383 to enshrine a bone shard relic from the shoulder of Buddha. The legend-strewn Wat is reached by climbing a 309-step staircase (or by cable car), rewarded with stupendous city vistas. In north-central Myanmar, the last royal capital Mandalay is considered the nation’s spiritual hub. We visit Myanmar’s most important Buddhist pilgrimage site, Mahamuni Temple, containing a deified Mahamuni Buddha image. Enshrined in a small chamber, the Mahamuni stands 3.80m (12.5ft)-tall and cast in bronze, weighs 6.5 tonnes. We then embark on the Anawrahta Cruise Ship, our luxurious ‘floating home’ for four days, a gracious blend of Burmese and British Colonial elegance. Sailing along the Ayeyarwady, Myanmar’s largest river, we disembark at two of Myanmar’s former ancient capitals. First stop, Sagaing, an important religious and monastic centre, is distinctive for countless white, silver and gold religious sites studded across verdant hills. Cross the river via the 16-span cantilever Ava Bridge, built by the British, to Ava (Inwa), a former capital of successive Burmese kingdoms from the 14th to 19th centuries. Explore some of Ava’s ancient sites by horse-drawn carriage. Start the day with an early morning yoga session on the Anawrahta’s sun deck. 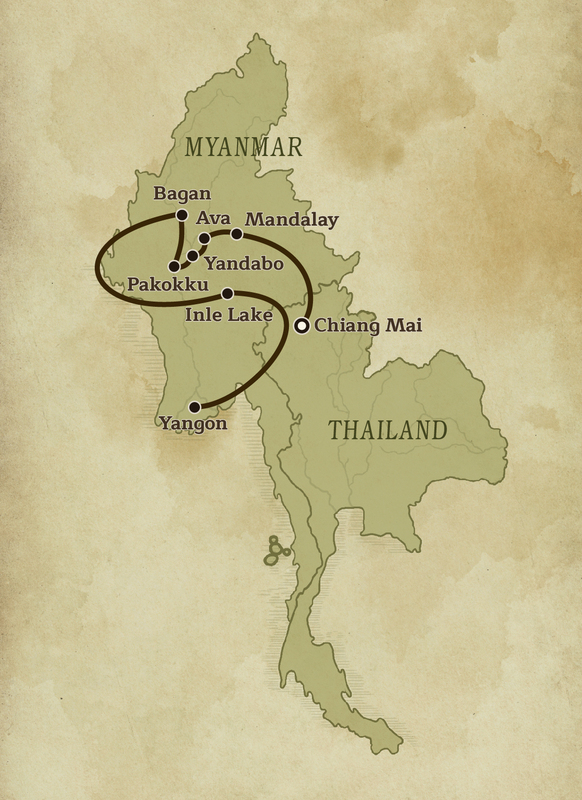 We sail on to Yandabo, best known as the village where the King of Ava signed the Treaty of Yandabo in 1826, signaling the end of the First Anglo-Burmese War. Accompanied by a local guide, explore this quaint riverside village on foot, engaging with the friendly villagers. Nowadays, the village is renowned for its pottery making skills, producing a unique water pot made from the surrounding riverbank clay, reputed to keep water cooler than any other pottery type. 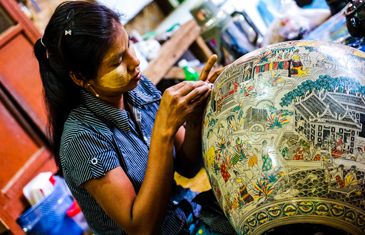 Aided by the villagers, we try our hand at the complex process to create these traditional pots. Later, the Anawrahta. 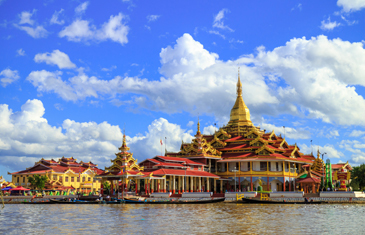 Cruises to the confluence of the Ayeyarwaddy and its greatest tributary, the Chindwin River. The Anawrahta sails southwards, stopping at Pakkoku, an old trading port boasting Myanmar’s longest bridge. In this country town, visit the bustling local market and cottage industries, such as traditional cigar production (‘cheroot-making’), of which Pakokku is famed for. Pakokku is also a noted Buddhist centre, home to more than eighty religious sites. Explore one of its most important temples, Shwegu, a stand-out for intricate carvings on rare Yamanei wood and a unique Buddha image. Later, we arrive at Bagan, the ancient capital of several powerful Burmese Kingdoms, that constructed up to 4,400 temples between the 11th and 13th centuries. Today, approximately 2,200 original temples remain standing, why Bagan is regarded as one of Asia’s richest archaeological areas. Our afternoon exploration takes-in some of Bagan’s most impressive ancient sites. Bid farewell to the Anawrahta Cruise Ship. The excitement continues however, with a once-in-a-lifetime opportunity: a magical hot air balloon ride, Balloons Over Bagan, over Bagan’s temple-filled plains. Champagne and breakfast are served during the one-hour flight. In Myanmar’s Buddhist traditions, all males are expected to join the monkhood at some point in their life, bringing honour and Karma merit to themselves and their families. Celebrating when a young boy enters monkhood, Novitiation ceremonies are full of ritual, joy and tradition for the novice monk and his entire village. We spend a day with rare behind-the-scenes access to a Novitiation preparation, colourful procession and ceremonial handing over of the young boy to the local monastery. The day concludes at Nan Myint Viewing Tower, with a private history lecture given by a local historian. 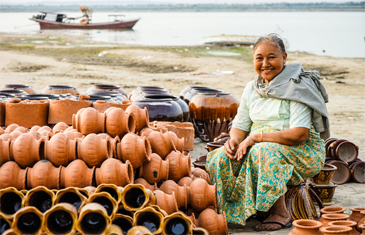 North of Bagan visit riverside Nyaung U and its authentic local market, a wonderful opportunity to mingle with the locals and experience daily rural life up-close. Stroll to nearby Shwezigon Pagoda, a revered, beautiful Buddhist pagoda, renowned for its link with Myanmar’s ‘Nats’ (pre-Buddhist mythical spirits). The circular gold leaf-gilded stupa, surrounded by smaller temples and shrines, is home to Bagan’s largest surviving bronze Buddhas. At a lacquerware workshop, learn the complex process of lacquerware production in a hands-on class led by a master artisan. He will explain the history of Myanmar’s lacquerware, which originated from Bagan in the 12th century. Later, dine al fresco, watching the sun set behind Bagan’s ancient temples, subsequently illuminated post-dusk, entertained by a traditional dance performance. Spend the afternoon cruising Inle Lake, at 22km (13mi)-long and 11km (7mi)-wide, Myanmar’s second largest freshwater lake and set in highlands at an altitude of 880m (2,887ft), one of its highest. This impossibly picturesque lake is home to rich flora and fauna and 200-plus floating villages. In a traditional canoe boat, we explore this magical water world, gliding past stilt-house villages and floating gardens tended by locals from small wooden boats. Disembark at Phaungdaw Oo Pagoda, Inle Lake’s most revered site, housing five small Buddha images covered in golf leaf. Continue on to Heya Ywama Village and observe traditional handicraft workshops, including silk weaving on wooden handlooms. On our return, we glide past Intha fishermen, unique ‘leg rowers’ who row their boats with one leg wrapped around an oar. Early morning, we have an extraordinary opportunity for a sunrise hot air balloon ride over one of Myanmar’s most iconic, scenic destinations – Inle Lake. Later, visit Thartana Yaung Chi Monastic Education School; the children residing here originate from disadvantaged families from across Myanmar. Monks in Myanmar’s monastic education system play a major social role supporting children’s education, which the head monk explains today. The school relies purely on donations; thus, we donate needy supplies, including school uniforms and bags. Continue on to community-based tourism project, Inle Canoe Lady. Supporting Inle Lake’s Intha ethnic women to hand-craft traditional canoe boats, this project provides extra income and funds ploughed back into the community. 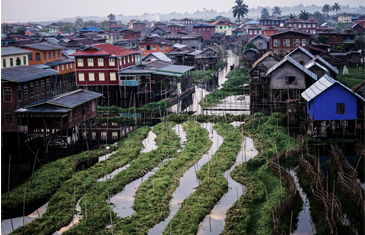 A canoe trip deep into a floating village allows us to see for ourselves the Intha communities. As Myanmar’s largest city and commercial hub, Yangon reflects the rapid changes that the nation has recently experienced. However, Myanmar’s former capital still bewitches with impressive ancient cultural and historic sites and an atmospheric street life on wide, tree-lined streets. Head to Yangon Heritage Trust, a Non-Governmental Organisation that focuses on conserving Yangon’s historic buildings – including some of Southeast Asia’s largest collection of colonial-era buildings. We join the Trust’s guided city walking tour, passing key architectural gems. Later, visit Shwedagon Pagoda, one of Myanmar’s most sacred Buddhist sites, joining pilgrims at an oil lamp lighting ceremony, an ancient and symbolic Buddhist ritual. Observe monks chant ancient Pali scriptures as 1,500 oil lamps are lit around the gilded pagoda – a truly spiritual experience. Founded 2017, Doh Eain (‘Our Home’) is a social enterprise aimed at citizen-led heritage conservation and urban regeneration in Yangon, improving the city’s private and public spaces. Doh Eain’s Alley Garden Project aims to convert Yangon’s countless kilometres of back alleys – mainly used as rubbish dumps – as recreational and social spaces, incorporating gardens, street art and playgrounds. Today, get involved with one Alley Garden Project, which ends with a ceremonial launch of a repurposed alley. Our final group dinner features a traditional Burmese dance performance by local students and farewell message from our esteemed host, John Tue Nguyen, rounding-off an extraordinary celebratory tour. Transfer to Yangon airport for your onward flight. 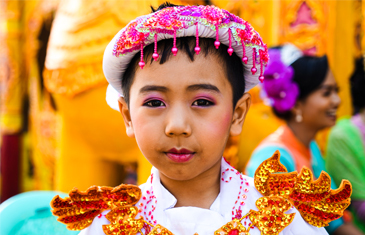 Join John Tue Nguyen on a celebratory tour through his home country of Vietnam and neighbouring Cambodia. Experience authentic and deeply enriching bespoke activities in a truly exclusive programme.